A day of Nordic skiing, snowshoeing or fat biking at the ranch during White Season is clearly going to give you a workout. The same can’t be said for snowmobiling, right? Well, not so fast. The University of Guelph in Ontario, Canada, worked with the Canadian Council of Snowmobile Organizers to study the level of physical activity by snowmobile riders. The results revealed that on average if a person rides at least once a week, that rider exerts an amount of energy like what a downhill skier would experience and contributes to the recommended 150 minutes of moderate to vigorous intense physical activity a person should get each week. 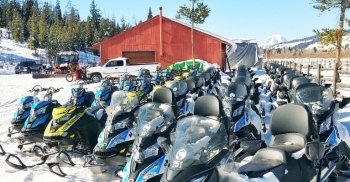 The University of Guelph contacted 4,000 snowmobile riders in Ontario, British Columbia and Quebec who ride at least once a week and put them through a series of physiological tests. They fitted them with sensors and had most of them ride along two groomed trails. A select group was chosen to ride on a trail that mimicked backcountry conditions. Oxygen use, heart rate, exertion, fatigue and body position were monitored during their rides. The study found that on average the riders were putting out almost six times the energy it would take them to watch television at home. That level of exertion obviously was different depending on several variables like riding on rougher terrain. The study also looked at the possible benefits to a rider’s mental health by being outdoors, exercising and socializing with others. Physical activity often gets neglected during the winter because of the adverse weather conditions. 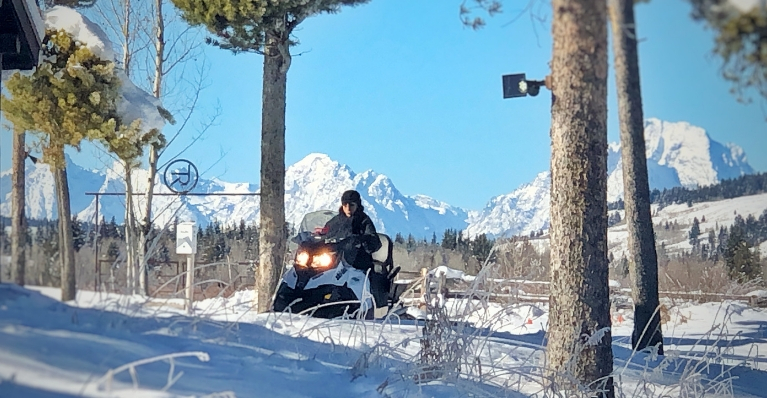 Snowmobiling offers another potential outlet and incentive for people to go outside with others and recreate. The physical and social aspect of the activity can be an effective way to combat Season Affective Disorder. Now, nobody is suggesting that snowmobiling equates to the kind of work out you’ll get Nordic skiing or snowshoeing. But it’s also not a sedentary activity. It can be a nice change up in your White Season adventure list. You’ll be outdoors, viewing amazing scenery of the Grand Tetons and nature. Come give it a try for a different kind of work out.